It turns out that Amazon was using the word “purchase” very loosely, in that 64 of the 100 top Kindle store bestsellers were free. These days Amazon admits that money is part of the transaction when we call said transaction a purchase. So it was not after Christmas, but on Christmas Day, and it was only Amazon (not the world) and it was not sales. Aside from that, bingo. Today I received also an inquiry from a third year graphic design student at the University of Leeds in the U.K. He explained that he is writing his dissertation on the “death of the printed word and image” and is reading as many articles as possible. None of them discuss the “death of the printed word and image”. That’s because I don’t believe that the printed word and image are dying. A key distinction to be made here: of course my site is all about the decrease in relative consumption of analog forms of content, replaced and often augmented by the wonderful explosion in available digital content. But just because print is decreasing don’t mean it’s dying. I thought today: There is NO empirical evidence that print is dying. There’s a ton of evidence of decreased consumption, but media consumption does not evolve in a linear fashion. The trend line might look like it’s heading towards zero but an examination of historic media consumption patterns suggests that the decline will taper and at some point level off. It could be that 90% of books purchased will be digitally downloaded, as Simon Pulman suggests. There is, however, no evidence of this. It is not “a given” (which Mr. Pulman acknowledged today). Ebook enthusiasts, of which I am one, must keep in mind that analog media does not have to die for digital media to flourish. 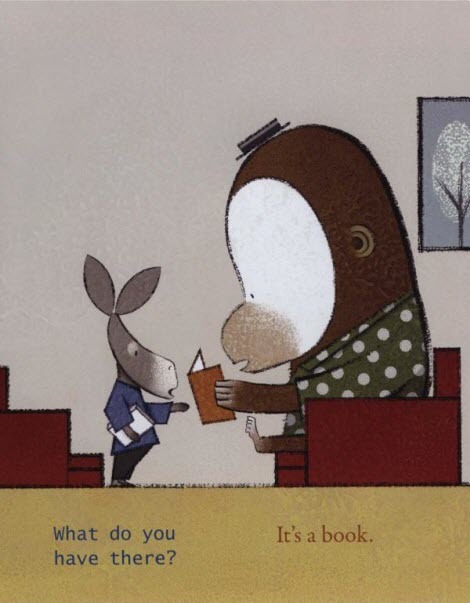 Cute little video for a new book by Lane Smith…great example of the use of viral online media to promote…a book. Thanks for the heads up, Wendy. Will Authors of the Future Need Publishers? A good follow-up to yesterday’s post about Daniel Menaker’s post on trade book publishing comes from Nathanial Bransford’s popular blog (81 comments so far on the entry). Titled, of course, Will Authors of the Future Need Publishers? Bransford makes several important points. 1. Book sales are off 2.5% for the year as of July, compared to a 9.5% drop in broader retail. This is not so bad. 3. “Right now, with e-books hovering somewhere around 5% of sales, authors still need publishers. Even the self-publishing success stories almost always involve self-published authors finding their way to traditional publishers. Why? Someone’s got to get the books into the stores, and publishers are the best at it. This topic dominates the rest of the post. But it’s certainly not inconceivable, and his post paints an interesting picture of how trade book publishing will change if eBooks take over half of the current retail market.